No private practice has an unlimited budget, no matter if you’ve been open for six months or six years. Marketing your practice website is one area where the costs can really pile up if you’re not careful. That means it’s important to make the most of your money wherever possible until you get a better feeling for what works for you and your unique practice. Here are our quick suggestions on zero-dollar ways to market your private practice website. to Get More Clients from Your Website. One of the best things about social media marketing is that it’s totally free to get started. Social media platforms like Facebook and Twitter don’t charge you any more than an individual person to to open an account for your private practice and start making public posts. Not only that, but a regular and thoughtful social media marketing strategy can build awareness for your brand and even improve your website’s search engine optimization (SEO), making you more visible to Google search engine users. Click here for more great Social Media Marketing strategies! If you’ve ever wondered what to do with your old-school networking skills from “real life,” here’s your answer! Networking online with other clinicians and guest posting on their blogs can be a powerful marketing technique. Not only does this help you grow your audience, but you also dramatically improve your Search Engine Optimization. Just make sure to get a link back to your website. Writing and publishing a guest article on another clinician’s blog (or “guest blogging”) gets you in front of a brand new audience – which very well may contain your ideal clients. 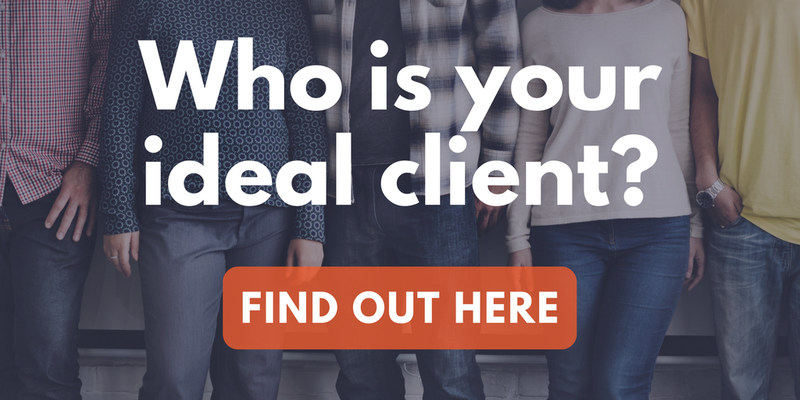 Take our free Ideal Client Quiz to test yourself! The key is to network with private practices and blogs that have similar specialties to you (so your audiences will have similar or connected interests) – but that aren’t the exact same as you. Your areas of focus should be like cousins, not twins. If you’d like to learn more about SEO and guest blogging, here is a webinar we recorded with Jeff Guenther that our audience has really loved! I realize that creating podcast may sound intimidating at first, but with modern free services like Soundcloud, it’s easier than ever for first-time amateurs to create and upload podcasts for anyone to enjoy. And if you already have a computer or smartphone to use, you can do it all for free. Podcasts can be any length you want, which makes it a great way to share both short on-the-go pieces and longer, more thoughtful recordings. If you’re wondering what you would make a podcast about, the topic possibilities are endless! You could comment on the mental health news of the day, or you could create a series of advice for generalized problems your ideal client would have. Try searching for other podcasts that already exist in your field to start building ideas. What is an SSL Website Certificate & Why Does Your Therapist Website Need One? Should You Write in First, Second, or Third Person on Your Therapist Website? Need a private practice website that’s worth showing off? You came to the right place.